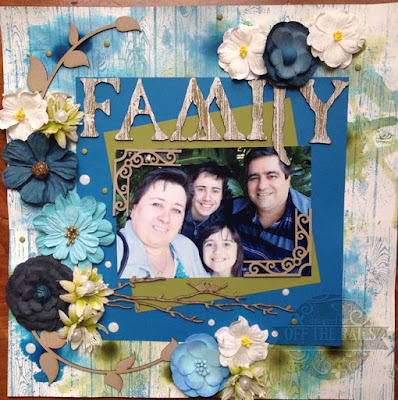 Welcome to October and my layout for Off The Rails Scrapbooking. Each month we have a wonderful mood board to give you inspiration. This is October's Mood Board. 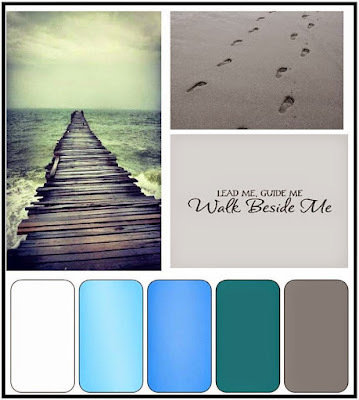 I interpreted the wonderful quote on the mood board "Lead Me Guide Me Walk Beside Me" and related it to my family. I see that the children need us to Lead them and Guide them and I need my husband to Walk Beside Me while we do it. I am so blessed to have such a wonderful family. And no we are not perfect, far from it, but we have a fantastic cohesive family unit. If you would love to have a go at this challenge and be in the running for some great Lawn Fawn products, then just jump over to the challenge page once you have created your wonderful page.